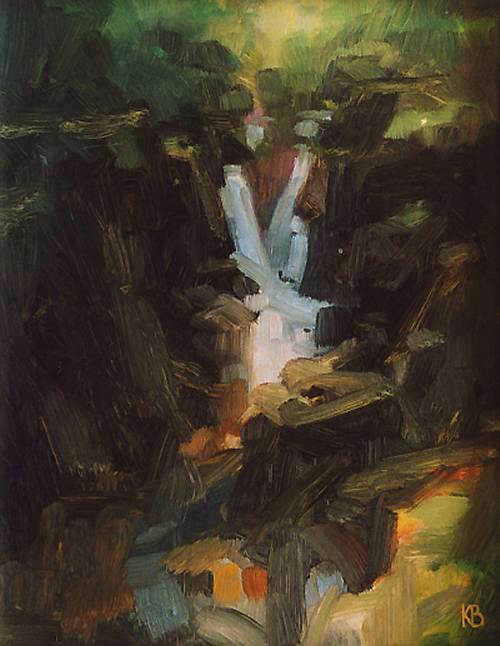 A study of one of the waterfalls on a burn above Loch Earn in Perthshire, Scotland. Painted directly on a gesso panel in opaque fairly dark oil paint. The lightlights were first ”burned out” with a brush soaked in turpentine, and were then painted in normally.